Grateful thanks to Myra's granddaughter Jessica Hudson, seen here on the right. 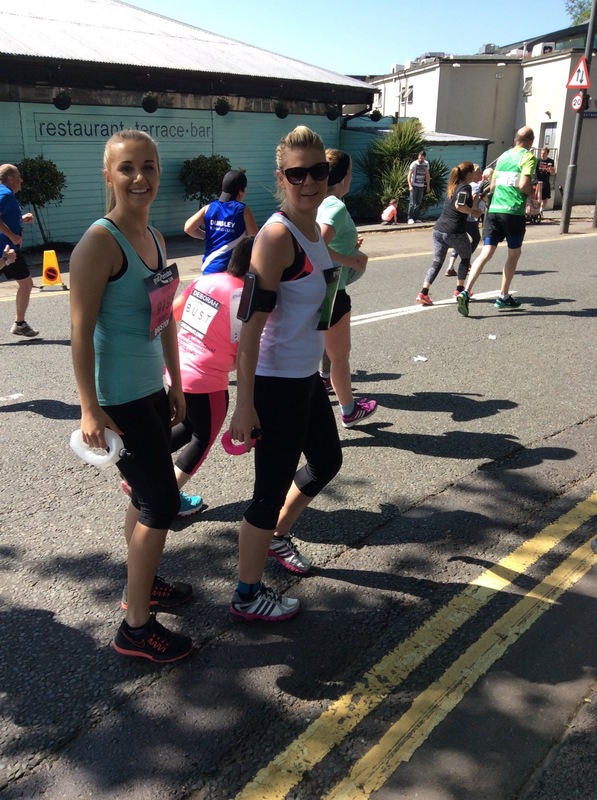 Jessica ran in the Bristol 10km and raised a fantastic £455 for GOSH (Bristol). 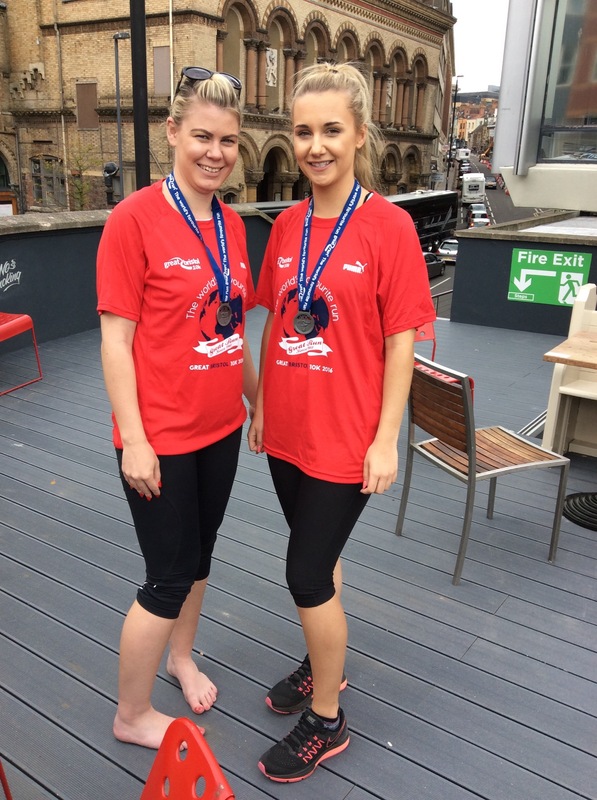 Jessica's friend Sophie (on the left) ran to raise money for the Stroke Unit as her grandma was helped there. 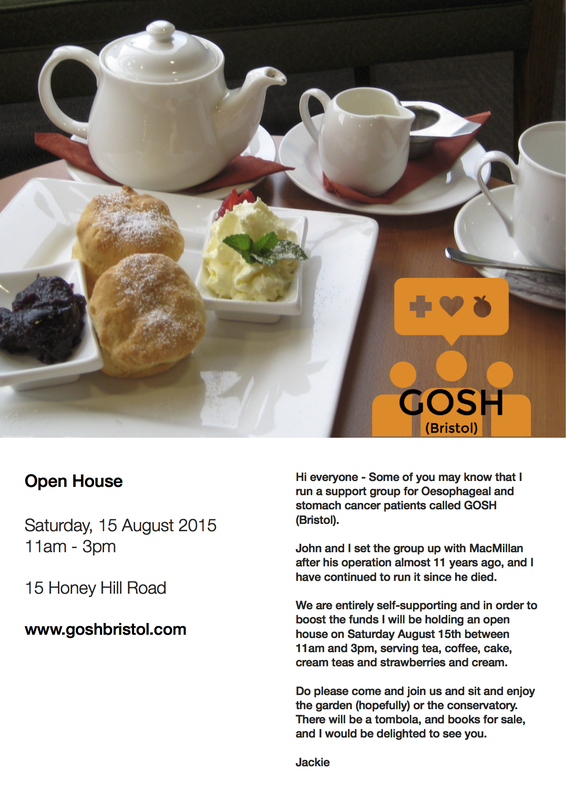 My open house with cake and book sales, cream teas and tombola raised an incredible £1,109! Thanks to everyone who supported us and especially to my helpers! I couldn't have done it without you! 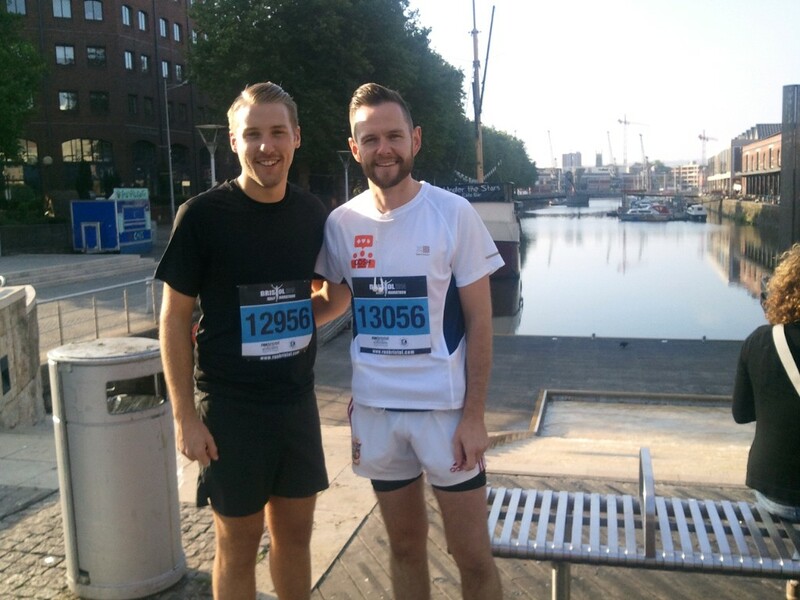 On 21st September 2014, James Gould and Tom Pursey took part in the Bristol Half Marathon finishing in 1 hour 54 minutes and 1 hour 52 minutes respectively. In the gallery below are “before” and “after” photos taken by Margaret Robbins, who is the wife of Jeff Robbins, a member of GOSH who sadly passed away recently. 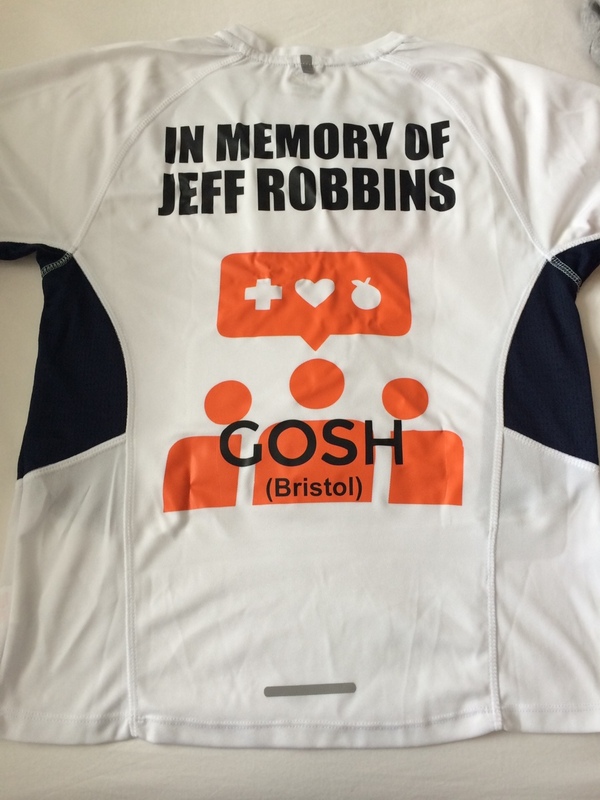 James and Tom are donating all money raised as a result of the run to GOSH Bristol, in memory of Jeff. 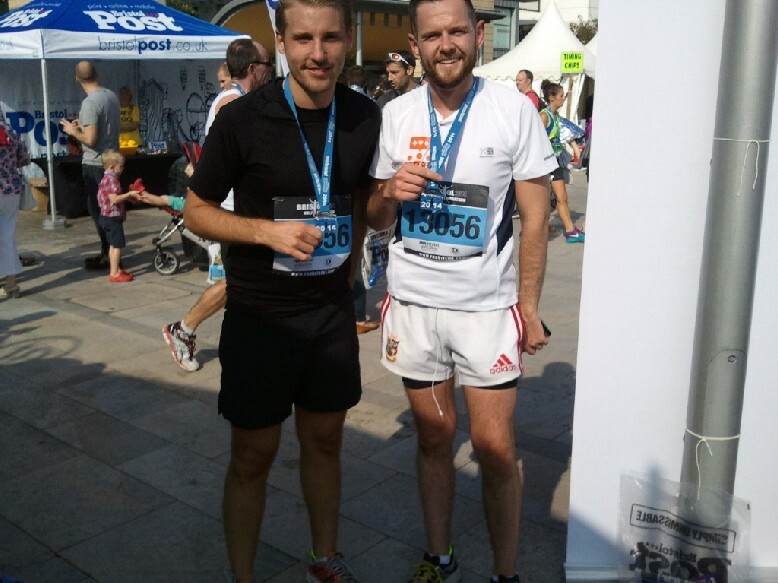 Congratulations to James and Tom on their times, and our grateful thanks for running for our group!